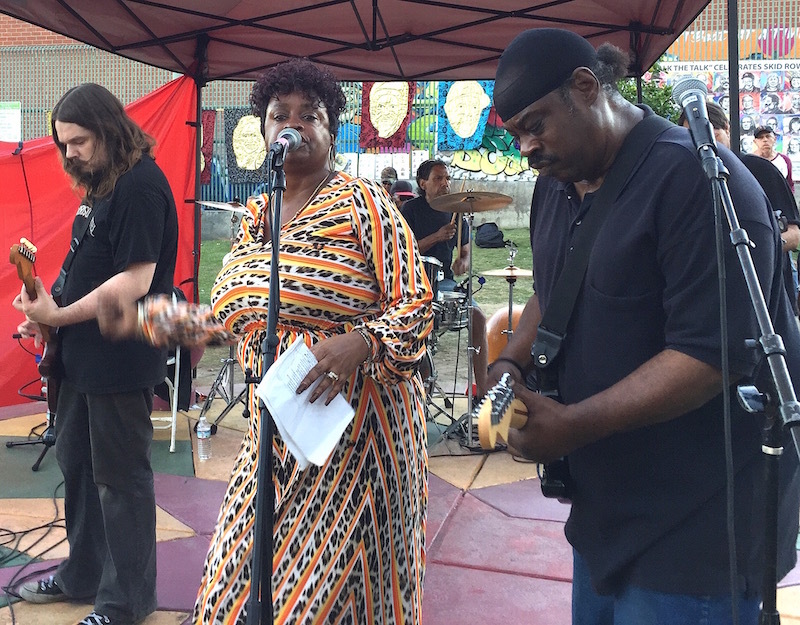 This year’s festival will be held on November 3 & 4, 2018 each day from noon – 4pm. 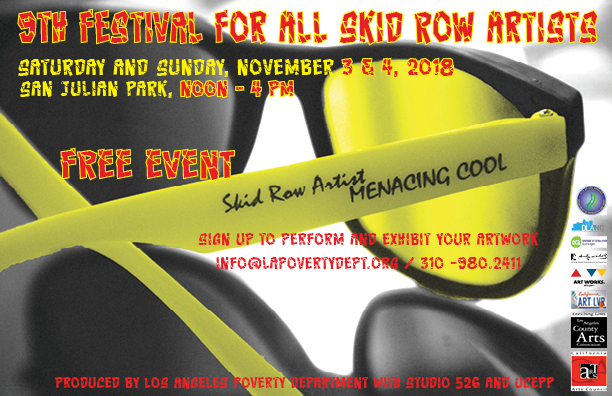 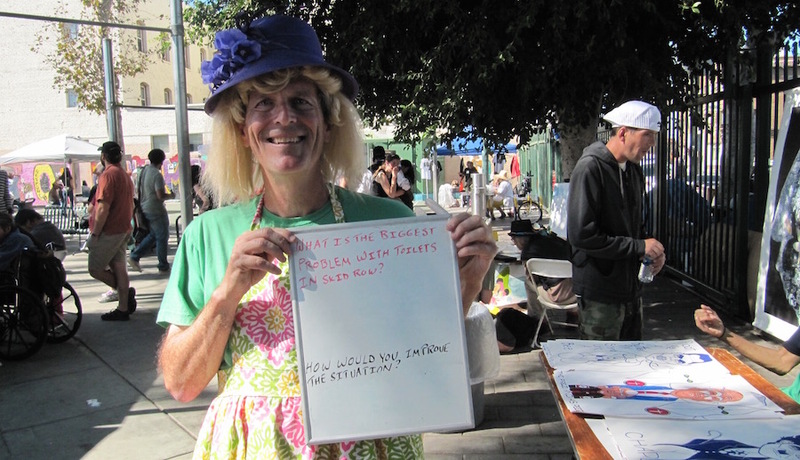 Since 2010 Los Angeles Poverty Department produces the Festival for All Skid Row Artists every 3rd weekend of October. 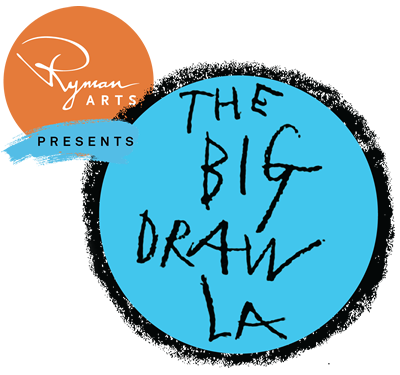 The Festival encourages known neighborhood artists and identifies and brings together arts makers who are unknown even in their own Skid Row neighborhood. 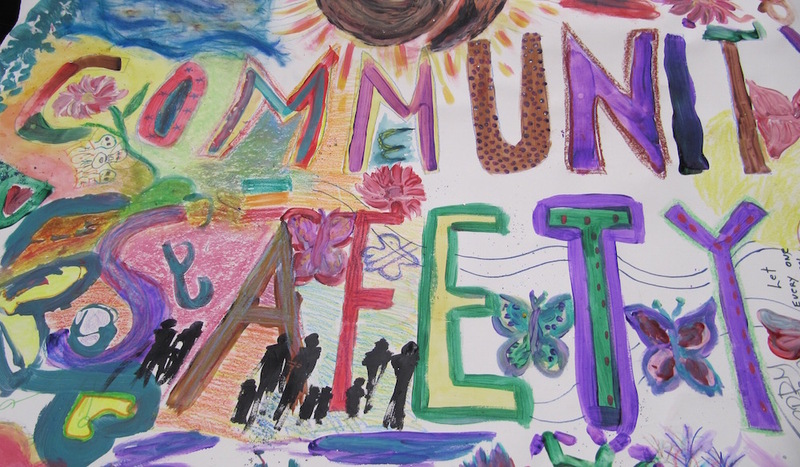 LAPD collects information about the artists, documents their work and has kept a registry of Skid Row artists, which now numbers more than 700.